acceptable pages loading speed when N people use the same application simultaneously. The basic advice regarding response times that has been about the same for forty years: “0.1 second is about the limit for having the user feel that the system is reacting instantaneously, meaning that no special feedback is necessary except to display the result. 1.0 second is about the limit for the user’s flow of thought to stay uninterrupted, even though the user will notice the delay. Normally, no special feedback is necessary during delays of more than 0.1 but less than 1.0 second, but the user does lose the feeling of operating directly on the data. 10 seconds is about the limit for keeping the user’s attention focused on the dialogue. For longer delays, users will want to perform other tasks while waiting for the computer to finish, so they should be given feedback indicating when the computer expects to be done. Feedback during the delay is especially important if the response time is likely to be highly variable, since users will then not know what to expect.” Considering all this information, let’s try to provide the pages loading speed within 0.1 – 1 second with the load of 20 competitive requests by optimizing Magento performance. http_load http_load runs multiple http fetches in parallel, to test the throughput of a web server. It runs in a single process, so it doesn’t bog down the machine. It can be configured to do https fetches as well. 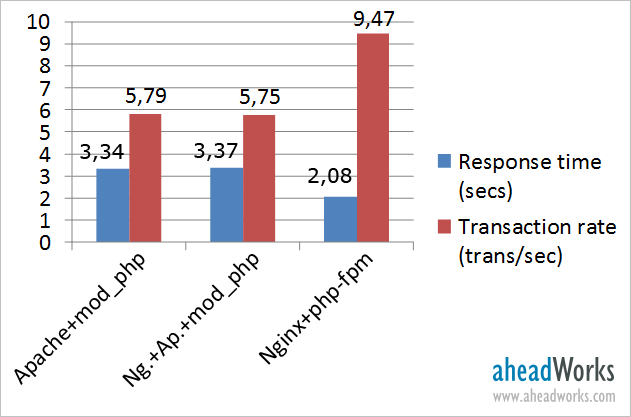 Apache HTTP server benchmarking tool It is a tool for benchmarking your Apache Hypertext Transfer Protocol (HTTP) server. It is designed to give you an impression of how your current Apache installation performs. 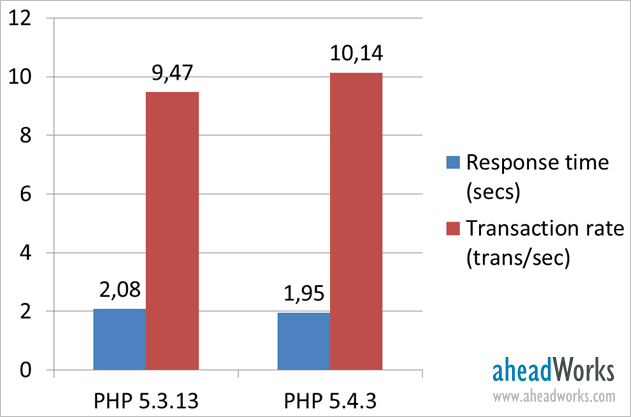 This especially shows you how many requests per second your Apache installation is capable of serving. Siege Siege is an http load testing and benchmarking utility. It was designed to let web developers measure their code under duress, to see how it will stand up to load on the internet. Siege supports basic authentication, cookies, HTTP and HTTPS protocols. It lets its user hit a web server with a configurable number of simulated web browsers. Apache JMeter Apache JMeter is open source software, a 100% pure Java desktop application designed to load test functional behavior and measure performance. It may be used to test performance both on static and dynamic resources. Apache JMeter can be used to simulate a heavy load on a server, network or object to test its strength or to analyze overall performance under different load types. You can use it to make a graphical analysis of performance or to test your server/script/object behavior under heavy concurrent load. later you can use new language constructions. As you can see below, the opcode cacher usage gives the speed increase of about 70%: 6. 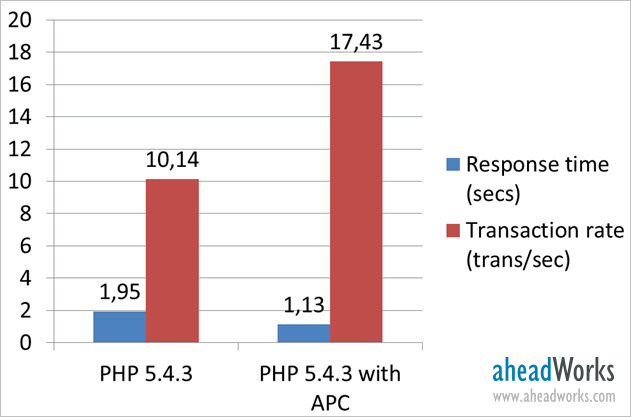 Change the number of child-processes in PHP-FPM depending on your hardware 7. Move users sessions to memcached 8. Move cache to APC or memcached 9. 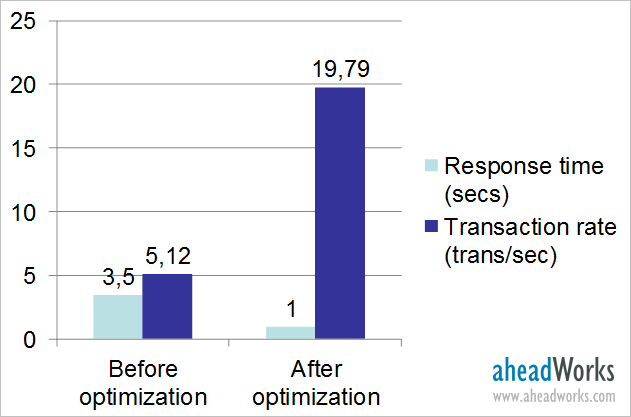 Set the higher values in the settings of PHP – realpath_cache_size and realpath_cache_ttl Let’s sum up what we’ve got after all these steps on optimization: As you can see, server environment optimization resulted in reducing rendering speed in 3.5 times as well as decreasing the price of the required hardware. For optimizing your website contact Parent Technology - A leader in Magento and Joomla Website Design in Grand Rapids Michigan.